Another college star has sued over the use of his image in video games. But if Ed O'Bannon's successful, what he'll do with the money could be a model for solving the NCAA's licensing problem. 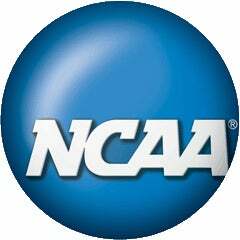 O'Bannon, who starred on UCLA's 1995 national championship team and has since retired from the NBA, has filed suit against the NCAA - not Electronic Arts or any publisher of sports titles. His is a blanket claim, covering his appearance, without compensation or permission, in DVDs, video games, and on sports apparel. Secondly, this deals with licensing as it pertains to former athletes, not current ones. That said, he intends to do something that someone at NCAA HQ should notice. With any money won in this case, O'Bannon wants to establish a trust fund, whose proceeds would benefit today's players when they are finished with their amateur, collegiate careers. In a back-of-the-envelope way, this could help unwind the NCAA, and its member institutions', use and licensing of their student-athletes in blatantly commercial endeavors while still paying them something without rewriting its own eligibility rules or opening things up to the larger argument of paying college athletes. The rest of the lawsuit hashes over some of the same points made in Sam Keller's lawsuit, filed back in the spring. But if O'Bannon's sincere about the trust idea, at least this one offers a constructive outcome, should the NCAA choose to see it as an opportunity and not a threat.